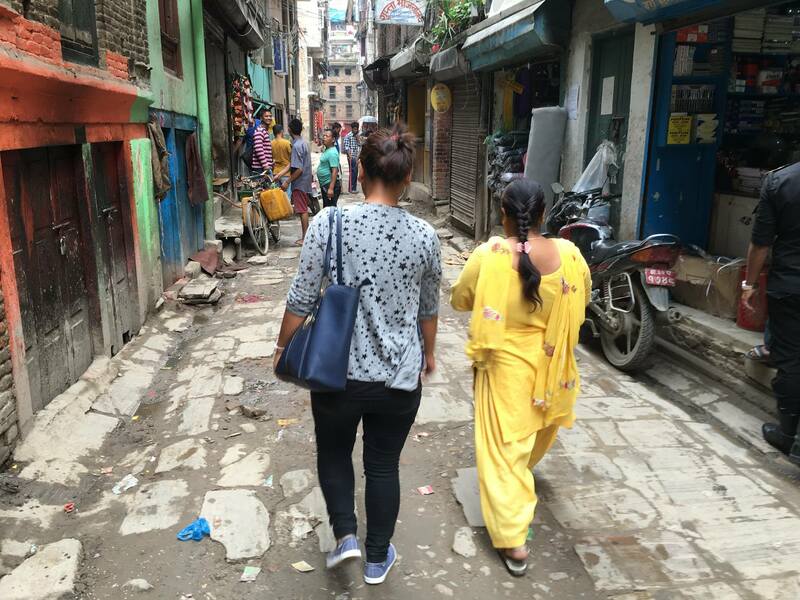 Just fifteen months ago Binda was living happily with her husband and two small children in an apartment in Kathmandu. The couple had been running a clothing stall together and bringing in enough money to send their five year old son to school and to reinvest in new stock, which they stored at home. Things were going well – but the earthquake changed everything. Binda’s husband and their little girl, who were at home that day, lost their lives when the apartment block collapsed. She not only lost her family but also the entire contents of her home, including the stock they had stored there. Binda and her son were left with nothing. The small compensation they received from the government just covered the cremation costs and she had no choice but to move in with her widowed mother, brother and sister. 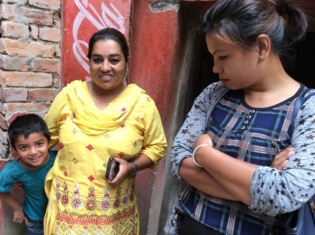 She has been unable to find work and the added burden to the family has meant that Binda’s six year old son and fourteen year old sister have not been able to attend school since the earthquake because they can no longer afford the school fees. Binda’s mother sells socks on the side of the street to feed the family and her twenty-one year old brother earns just enough to cover their monthly rent. Binda was referred to WONDERWorks with the hope we might be able to help her. She has asked us to share her story in the hope it might help other earthquake victims in some way. We’re very happy to have been able to give Binda a chance to get back on her feet through ‘Last Hope’. Our Last Hope program offers one time assistance to those in critical situations who have been unable to receive the help they need through the usual channels. By purchasing a small stock of waterproof shoes for her to sell (suitable for the current monsoon weather) we hope that she will be able to slowly rebuild her business and send her son back to school. We wish her every success.